Horses A and B both have head-carriages with the nose at the vertical and the poll the highest point. 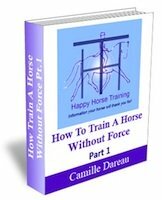 However only A is correctly posturally engaged, with correct diagonals, and without being balanced on the reins. Horses C and D are both behind the vertical, and do not have the poll as the highest point, however C is still correctly engaged, whereas D is clearly not, as the hindleg is trailing. 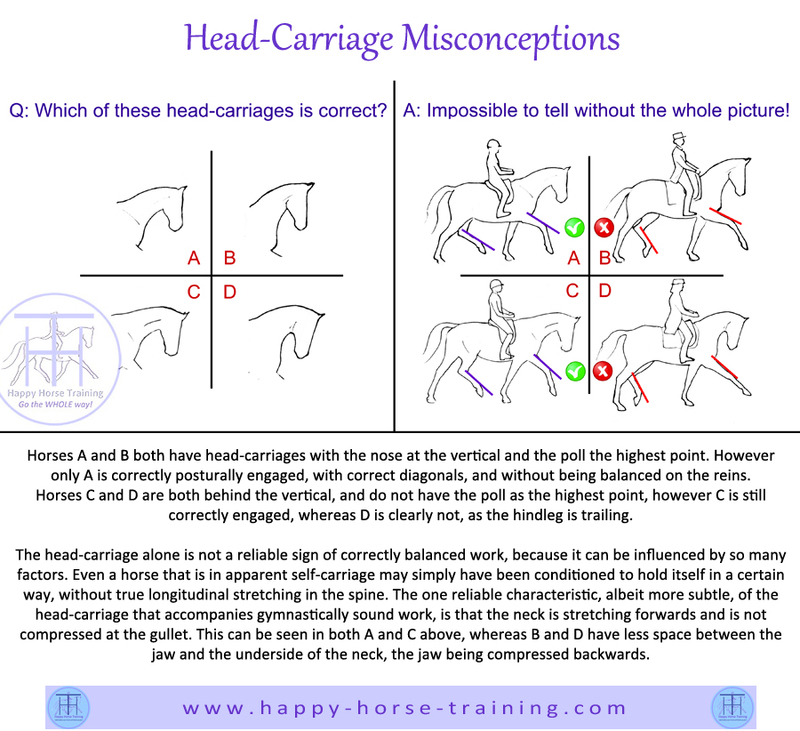 The head-carriage alone is not a reliable sign of correctly balanced work, because it can be influenced by so many factors. 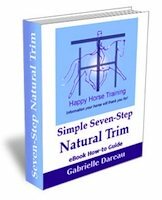 Even a horse that is in apparent self-carriage may simply have been conditioned to hold itself in a certain way, without true longitudinal stretching in the spine. 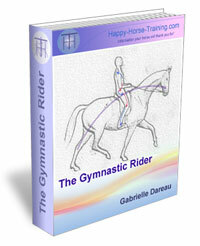 The one reliable characteristic, albeit more subtle, of the head-carriage that accompanies gymnastically sound work, is that the neck is stretching forwards and is not compressed at the gullet. This can be seen in both A and C above, whereas B and D have less space between the jaw and the underside of the neck, the jaw being compressed backwards.